There are plenty of reasons why investing in a VyprVPN subscription is a good idea. 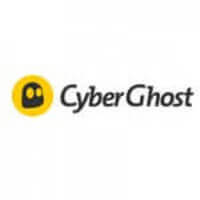 It offers the most secure and advanced encryption, blazing speeds, NAT firewall, 5 simultaneous connections, 700+ servers, 200,000+ IP addresses, and apps for all the most popular devices, to name just some of its advantages. 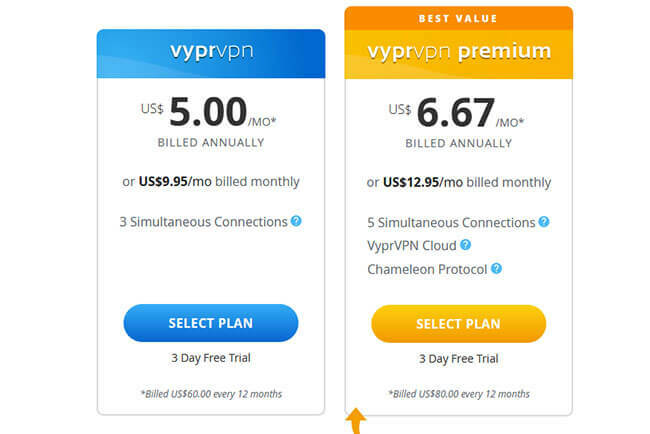 If you are wondering whether the prices fit your budget, here is an overview of the service’s plans, providing clear information on how much VyprVPN costs. VyprVPN offers 2 plans, basic and premium. The main difference between the plans is that the premium plan brings you additional perks, including the ability to use the service’s Chameleon protocol, control your own cloud VPN server, and use the service on 5 devices at the same time instead of just 3, which is the number of simultaneous connections available with the basic plan. The basic plan costs $9.95 per month with the monthly subscription. However, if you choose to subscribe for a year, you pay just $5.00 per month. With the premium plan, you pay $12.95 if you opt for the monthly subscription and $6.67 if you opt for the annual subscription. Before you purchase a VyprVPN subscription, you can test the service with the 3-day free trial. Unfortunately, there is no money-back guarantee and the service does not give refunds under any circumstances. Therefore, if you are not sure whether you really like the product, we recommend opting for the month-to-month option first, so you get enough time to decide whether you want to opt for the annual subscription and get VyprVPN protection at a lower price. Unfortunately, VyprVPN does not accept Bitcoin, so you need to provide some personal information when subscribing, such as your name, email address, billing country, and postal code. The accepted payment methods include all major credit cards (Visa, American Express, MasterCard, Discover…), PayPal, and Alipay. It is important to note that if you opt for Alipay, you are not eligible for the 3-day trial.